I have a new interesting product to review today. 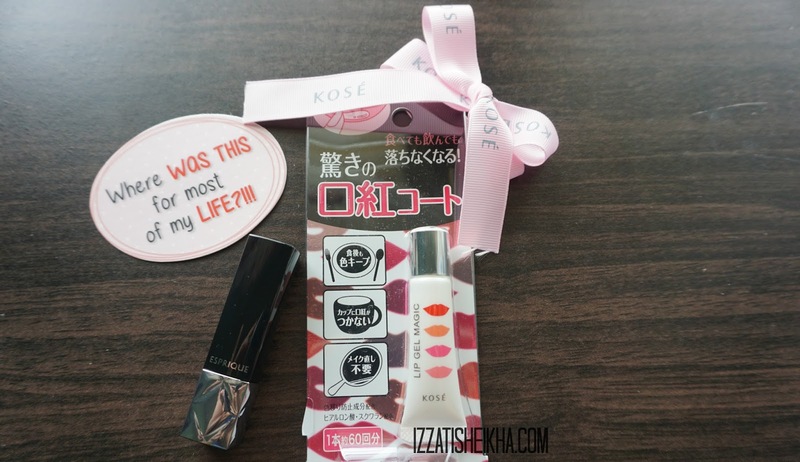 I recently got a chance to trying out Kose new lip product called the Lip Gel Magic. 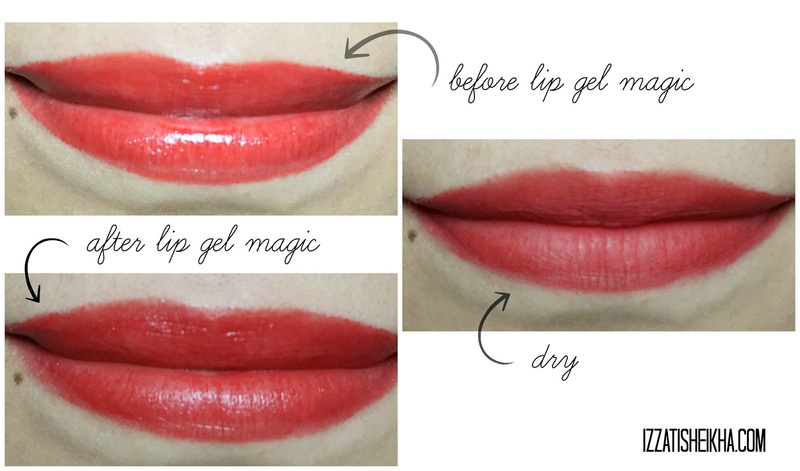 Lip Gel Magic is commercialize as a 'lip topper' to every lip product that you have. I have tested the lip gel magic and what I can conclude is that it does a great job to mattify any moisturising lip products that you have. 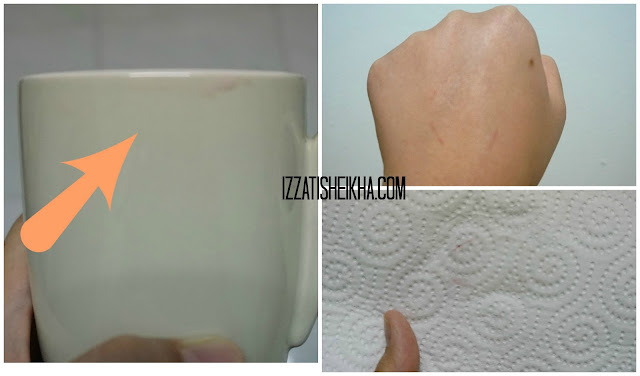 It is also claimed that your lipstick will stay longer even after your meal, no stain when you drinking as well as transfer proof to almost anything. When I was first try it I was so skeptical because I never had anything like this lip gel magic before and I'm not really familiar with this new concept. So, to justify myself I did my own testing with this lip gel magic. The very first thing that I noticed when I squeeze it out of the tube is that it feels very silicone-ish. If you familiar with silicone primer, that is exactly how the texture feels like. It applies smoothly on my lips and it sets within few minutes (just to make sure that it totally transfer proof). It dries up the lipstick into such a comfortable formulation. It does not feel drying at all on the lips. I tested this lip gel magic with 3 conditions. At the back of my hand, drinking a glass of milk, and dab it on a tissue. Apparently, as you guys can see it is totally transfer proof. The only residue that you can see is the rim of my lips that I didn't apply properly. Other than that this lip gel magic is legit transfer proof! Matte lips is kind of a trend right now and this lip gel magic is really going to help me rock any lip color that I like that is non-matte formulation and turn it into such comfortable matte lip product and also at the same time makes my lipstick stays on longer and transfer proof. With that being said, I find this product is very interesting and I think the transfer proof and matte concepts are kind of cool. I highly recommend you to try this lip gel magic and I guarantee you will definitely enjoy playing around with it. You can get this product at any Kose counters nationwide. Thank you so much for spending your time reading my review.